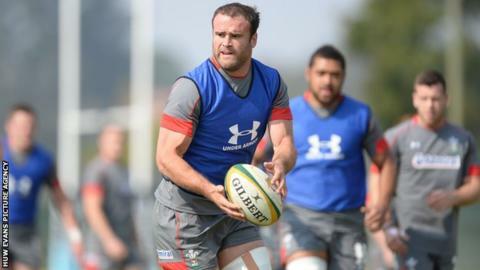 Wales will train in the searing heat of Qatar to prepare for the 2015 Rugby World Cup. A high-altitude camp in Switzerland is also being planned before their warm-up matches for the tournament. "We are going to sleep high, train low, going up by cable car to sleep," Wales coach Warren Gatland said. After the training camps, Gatland's side are expected to play friendlies against Ireland and Italy in August and September 2015. Wales will face hosts England, Australia and Fiji after their opening match against either Russia or Uruguay on 20 September 2015 in Pool A. The two sides play each other in a two-legged play-off on 27 September and 11 October for a place at the World Cup. The Wales squad prepared for the 2011 tournament with two separate intensive training camps in Poland. They finished fourth after in the semi-final, playing 61 minutes with 14 men after captain Sam Warburton was controversially sent off. Gatland said his squad would spend up to 14 days in Switzerland as part of their 2015 preparations. "The thing with the altitude training is not so much that you train at it, it's just the physiological benefits you get from it," he added.